Dental sealants consist of a safe plastic material that’s applied to the teeth. The sealants are used on the chewing surface of the teeth to essentially block the development of cavities. While sealants can be applied to just about any tooth, they are most often applied to the molars. The morals are most likely to develop cavities because they contain grooves known as fissures. It’s easy for bacteria and food particles to become trapped in these crevasses. Not to mention, the areas are hard to clean, especially for young children who still have difficulty brushing and flossing their teeth properly. When plaque and food particles aren’t properly removed from these areas, the enamel is slowly broken down, allowing cavities to form. Applying dental sealants to cavity prone areas provide the teeth with an extra protective barrier to stop cavities before they even have a chance to develop. Appling dental sealants to the teeth involves a very safe and simple procedure that is virtually painless. There is no need for drilling or numbing medications. To begin the process, the tooth will first need to be prepared. Preparation involves cleaning and polishing the tooth’s surface to remove plaque and food particles. The tooth is then dried and the surface of the tooth will be lightly etched and rinsed to allow for a secure bond between the sealant and the tooth. During the application process, the sealant material is applied to the surface of the tooth. Then, we use a special light to harden the material within 30 seconds. Finally, we will evaluate the sealant to ensure it doesn’t impact the child’s bite or alignment of the top and bottom teeth. With the right care, dental sealants can last for years. Your child will still brush and floss regularly. At each appointment, we will check the dental sealants to ensure it’s working as intended and hasn’t become damaged. Should damage occur, we can quickly and easily repair the sealant to restore its protective function. 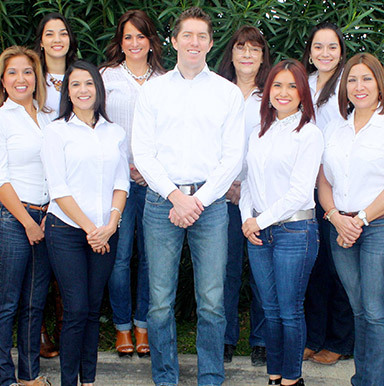 As your children’s dentists in Los Fresnos, we offer a number of preventive services to protect your children’s teeth from damage. 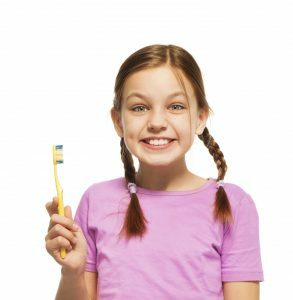 In addition to dental sealants, we also provide fluoride treatments, cleanings and checkups to ensure your children develop healthy, beautiful smiles. With the right preventive care, we can work together to keep your children’s smiles as healthy as possible. Give your children the protection they need with dental sealants.